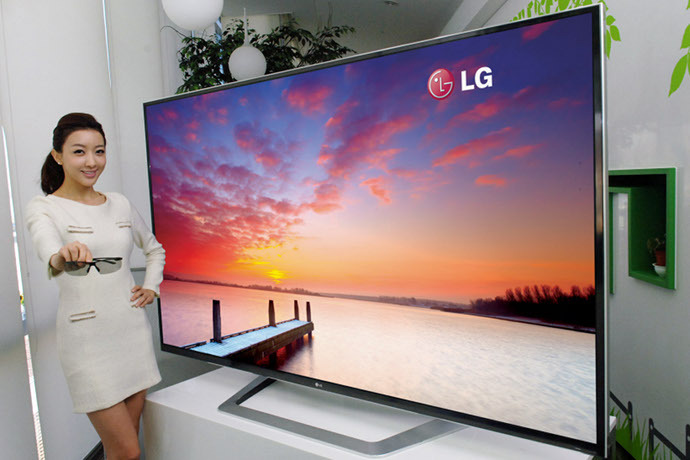 LG's 4K Ultra High Definition TV. The International Telecommunication Union has taken a big step towards the future of television broadcasting, with the release of a recommendation on the resolution of Ultra High Definition Television (UHDTV). The ITU's recommendation sets out two resolution standards for UHDTV, the next generation of quality beyond 1080p Full HD. These are the standards that will govern the future resolution of broadcast TV, LCD and plasma TVs, digital cinema projectors, and next-generation movie formats. The current darling Full HD standard uses a resolution of 1920x1080 pixels, also known as 1080p. The ITU has set out draft recommendations for the two future 'layers': 3840x2160 pixels, and 7680x4320 pixels. Also included is a future audio standard: 22.2, for a maximum of 22 speakers and two subwoofers — a large jump from the maximum 7.1 channels found on 1080p Full HD Blu-ray discs. The 'lower' quality 3840x2160 pixel resolution can alternately be called 2160p or '4K': this is the resolution of many of the high-end TVs that were shown at CES 2012. It's roughly equivalent to an 8-megapixel digital photo, and has four times the pixels of the current top-of-the-line 1080p standard. The even-higher quality 7680x4320 pixel standard is reserved for further in the future. Also called 8K or occasionally 4320p, it's equivalent to a 32-megapixel digital photo: currently out of reach to anything but the most expensive digital SLR and medium format digital cameras. 8K TVs are still extremely rare; Sharp showed an 8K TV at CES and Panasonic is collaborating with Japan's NHK on an 8K model. Most important in the video is the ITU's distinction of why the future standards are being discussed and chosen. According to the video's presenter, the increased quality of 4K and 8K reduces the stress a viewer experiences while watching, as well as lowering the perceived duration of a program and increasing involvement. The presenter sums it up by saying: "The higher the quality, the longer you'll watch the program, all other things being equal." The ITU hopes that 8K may double the length viewers watch programs before switching channels or switching off. Japanese broadcaster NHK hopes to begin test broadcasts of 8K UHDTV by 2020.